The versatility of steak is that no matter how inexpensive the cut, waving a magic spatula over it transforms an overworked charwoman into Cinderella. 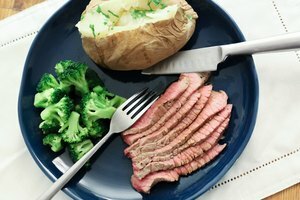 Understanding the piece of meat, knowing its fat content or lack of fat, your willingness to let the meat dictate the preparation, using the right slice before cooking and serving ‒ all these factors help sirloin tip arrive at the fairy tale ball where the proverbial glass slipper of beef-eating happiness is kissed by the fairy godmother. 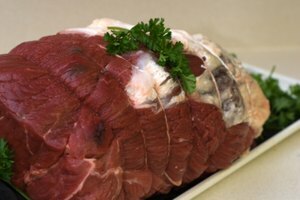 Looking at a cow from its side, the sirloin tip sits at the top of the hindquarter, behind the loin. It’s a very lean cut of beef, but the quality characteristics of the adjacent tenderloin don’t extend to the top sirloin. Because the muscles in the rump are used to propel the cow forward, they don’t get to relax and build up the fat that makes meat tender. Because it’s not a tender cut, it’s also not an expensive one. The sirloin tip yields a rich, beefy flavor, and its grain runs the length of the piece. Marbling rippling through the meat is what makes beef tender and flavorful, so without that, the only way to tenderize a lean sirloin tip is to add exterior elements prior to cooking it. Sirloin tips in the butcher’s meat case are either pre-sliced into steaks or cubed, or the piece is available whole. Go for the whole lump of meat and let your inner butcher come forth. 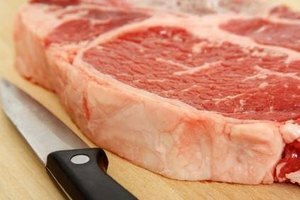 The easiest way to slice a hunk of beef is to first refrigerate it, then slice it. And always use a sharp carving knife. Slice the beef down the center of the long side and cut cubes for skewers, or start at the tip and cut across the meat for steaks. Since the best way to tenderize this cut of lean beef is to marinate it, don’t make the steaks too thick. A 1/2-inch cut will marinate well. You also can slice paper-thin shards, which make wonderful sandwiches, especially when marinated in freshly made chimichurri sauce. 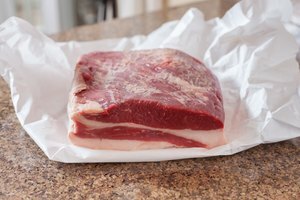 Marinating a sirloin tip is the only way to add tenderness, but avoid commercial high-salt content powdered seasonings. The four ingredients necessary for a good marinade are: oil, acid, flavoring and a dash of salt. Oil should comprise at least half of the marinade because it coats the meat and carries the flavorings. Don’t use extra-virgin olive oil as the taste is too strong. Instead, stick with grapeseed or canola oil. 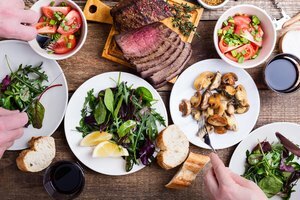 Natural tenderizers in fruit juices such as pineapple or papaya are the base for an exotic marinade, especially when paired with fresh herbs like basil and thyme. Acids in lemon juice and vinegar also tenderize lean meat. Don’t go overboard with either, though, or the meat takes on too much of the flavor of the acid. Use half the amount of acid-to-oil. 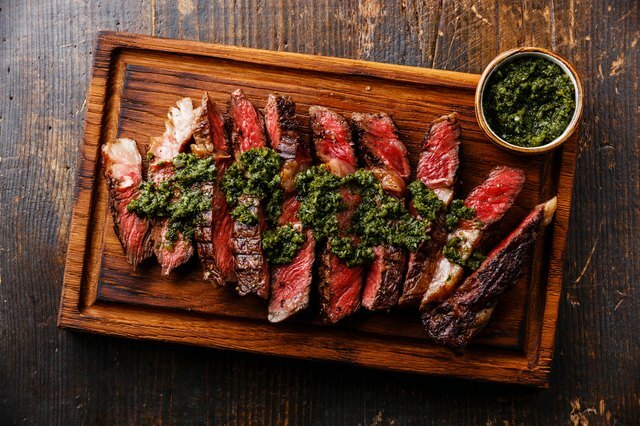 A mixture of low-sodium soy sauce, lemon juice and oil plus seasonal herbs rubbed into the sirloin tip and left for at least eight hours in the refrigerator turns lowly sirloin tip into a juicy, tender steak.